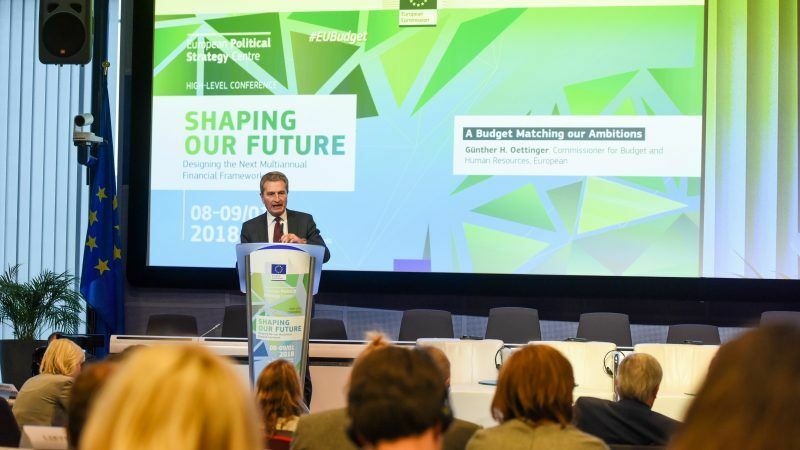 External action spending in the 2020-2027 multiannual financial framework (MFF) is expected to be between €100 billion and €120 billion, representing 6% of the total EU budget, EURACTIV understands. Amid the uncertainty caused by the imminent withdrawal of the UK – one of the EU’s largest contributors to the overall budget and to EU development policy – from the bloc in March 2019, that is seen by some civil society groups as a modestly successful outcome. However, with China pouring investment into sub-Saharan Africa, others fear that the EU risks becoming increasingly irrelevant on the African continent. “In the context of Brexit we could have done worse but is this is really the scale of our ambition?” Emily Wigens, Interim Brussels director for ONE, tells EURACTIV. Overall ODA levels in the budget will not be cut, and will continue to make up 20% of the EU’s target to spend 0.7% of Member States’ combined GNI on aid. NGOs are more exorcised about that the likely proposal that will seek to merge 12 existing instruments into one. The Commission contends that the move is an attempt to simplify its external spending. However, campaigners fear that it will dilute development policy objectives and will increase the use of Overseas Development Aid (ODA) for EU domestic priorities such as the costs of accommodating refugees. The EU executive also intends to move towards a system of ex-poste reporting, under which the Commission would assess at the end of each year how much spending can be classified as ODA. The Commission is also expected to propose to expand its European External Investment Plan (EIP), including its European Fund for Sustainable Development (EFSD). Unveiled by Commission President Jean-Claude Juncker in September 2016, and modelled on the so-called ‘Juncker plan’ which has marshalled infrastructure investment across the EU, the EIP became operational in 2017, and promises to leverage €44 billion in private sector investments across the African continent as part of a programme to ‘tackle the root cause of migration’ from Africa to Europe. The EFSD currently relies on a combination of grants, loans and financial guarantees from the EU budget worth €3.3 billion. However, it is still yet to sign a single contract, although calls for proposals are out, and the lack of a track-record is concerning some MEPs. The Commission are basically saying ‘trust us’, one insider told EURACTIV. “We don’t want to see the EIP expanded without transparent monitoring, but we have to be pragmatic about this. We don’t think we’re going to get there though donors alone,” says Emily Wigens. Many Civil society organisations oppose any expansion of the EIP, while others say that a significant portion of its funds should be allocated to leveraging private sector investment in the poorest countries rather than the easiest markets. Meanwhile, the EU Trust Fund for Africa, which was set up following the Valletta summit in late 2015, and intended for security and job creation projects in countries with numbers of would-be migrants to Europe, might be kept outside the budget and only for external and emergency actions. Officials are also still weighing up whether to back an EIB proposal to create a new Africa-focused subsidiary. The EU has been promising to increase its investment in African countries, and had hoped to offer the plan to African leaders at last November’s EU-African Union summit. The new vehicle would run the EU’s public-private investment projects in Africa, according to documents seen by EURACTIV. EURACTIV understands that it is the brainchild of Alexander Stubb, the EIB’s Vice-President and former Finnish Prime Minister. The EIB has been steadily increasing its operations and number of contracts in developing countries. However, the proposal is being resisted by the Commission’s DG Development Co-operation department (DG DEVCO), which is anxious to avoid any more encroachment by the Luxembourg-based bank. Should the EIB blueprint get off the ground it would not be the only European addition to the already crowded market of development finance institutions promising to hike investment in Africa. On April 13, Suma Chakrabarti, President of the European Bank for Reconstruction and Development, which currently provides financing for countries that neighbour the EU, indicated that the bank wants to expand its mandate to start investing in Africa, starting with countries in the Maghreb and Sahel regions.